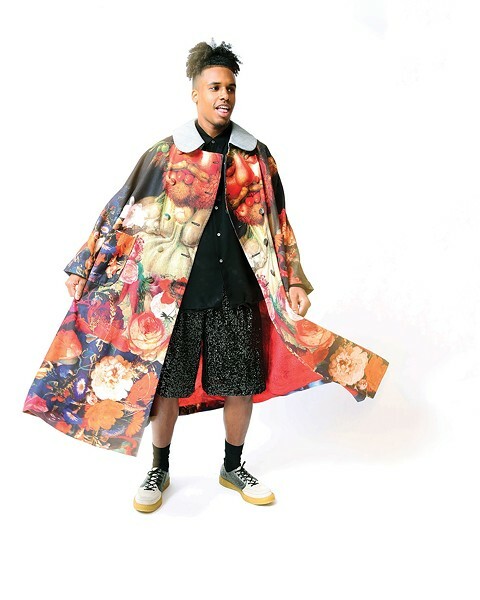 Lexington wears an Arcimbaldo Twill Coat, Sequins Top and Shorts, and Crepe Sole Trainers, all from the Comme des Garçons Homme Plus Spring/Summer 2018 collection, available at Kasuri in Hudson. The weather's warming up, and that means we're swapping our bulky sweaters for tees and sandals. Head to these six Hudson Valley fashion boutiques for a wardrobe upgrade. Whether putting together a Look every day is key to your bliss, required for your work, or involves jeans and T-shirts, you know how you like the fit and the feel. And when an Occasion comes along, you want the fancier duds to feel just as "you," just as easy. 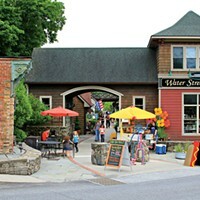 In decades gone by, needing apparel in the Hudson Valley meant heading to the mall in faint hopes of finding something interesting at a branch of a national chain or having to venture into the city for something cutting-edge and exceptional. Today's Hudson Valley clothiers put art and passion into every detail, from display to selection to heart-centered service. Whether you're after business casual for your daily doings, resort wear to take you through a weekend away, or something stunning for a Big Night, these folks will find you exactly what to wear. 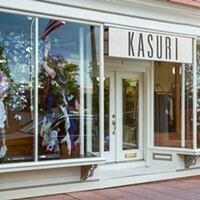 Kasuri in Hudson is cutting edge. You'll find avant-garde creations from some of the worlds most important Japanese labels like Yohji Yamamoto and Comme des Garcons alongside the likes of the Godmother of Punk, Vivienne Westwood, and the dark and austere Rick Owens. Kasuri buys straight from the Paris runways, gravitating to designers who are driven by vision, not trend. 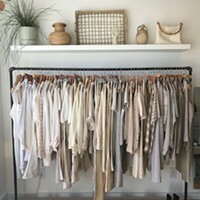 The Hudson boutique features a hand picked selection of clothing, jewelry and accessories all by designers who appeal to the passionate sensibilities of director Jonathan Osofsky and owner Layla Kalin. "Our customer are teenagers who save up for a pair of brilliant trainers, fashion students who can buy one piece a year, devotees of the labels we carry who appreciate the designers and wear them head to toe, people who integrate a piece or two into a more subdued wardrobe, collectors of the one-off, runway pieces we're able to get our hands on that might just as likely find their way into a museum's design collection of a museum," says Osofsky. "We buy for people who are turned on by brilliant, visionary design, and we treat everyone who walks in the door with the same warmth and invite them to enjoy the experience of seeing, touching, trying on, regardless of whether they're actually buying anything or not." Darbie Nowatzka started collecting as a teen and grew Lovefield Vintage from Etsy to flea markets to brick-and-mortar store in Kingston by popular demand. "We always have a selection of wearable basics: silk blouses, easy linen dresses, cotton jumpsuits, lots of great denim," she says. "That stuff is timeless, and I like to show people that vintage is a great way to go for well-made everyday staples. We love a statement piece too; there's no shortage of bright patterns, glamorous showstoppers, and designer pieces from labels like Chanel, Lanvin, Valentino, Issey Miyake, and Chloé." There's a men's section stocked with Pendleton and Woolrich along with "high-end designer finds and great boots." For women's pieces, "I think each season, I have looks in mind," says Nowatzka, "things I'm seeking out, details I'm particularly into. Right now, I'm loving a dramatic sleeve, ladies in suits à la Françoise Hardy, a 1969 San Francisco maxi dress situation, and crisscross straps on pretty much anything. And we cover a wide range of price points. I want anyone to be able to come in and leave with something they love." Justin wears a 1960s striped shirt and 1970s cotton shorts, from Lovefield Vintage in Kingston. 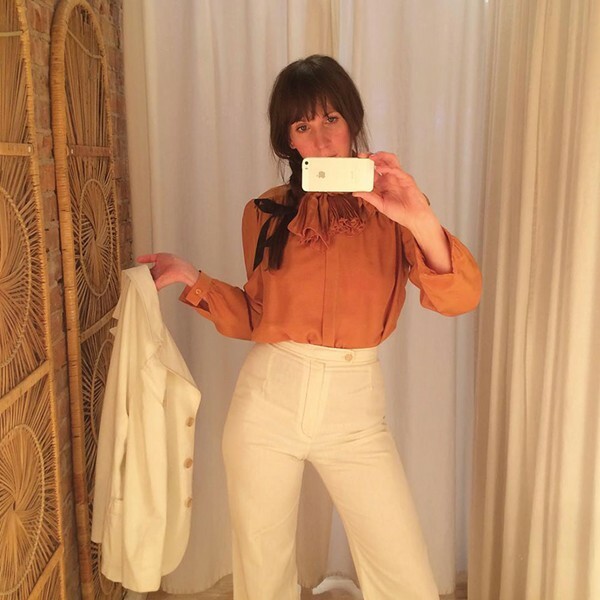 Darbie wears a 1980s Valentino silk blouse and 1970s white cotton pantsuit all from Lovefield Vintage in Kingston. At Darryl's, the focus is "fashionable but not trendy, classic, but with an updated modern twist," says co-owner Edward Coviello. "We're guided by what we like and by our customers' needs—aged 2 to 80. We pride ourselves on great service and very good value." Coviello and Darryl Gamble met in the early `80s, working together to turn around a shop on Manhattan's West Side. "If we could do it for someone else, why not for ourselves?" Coviello says. "So we opened on Amsterdam Avenue, and within a few months we were off and running." 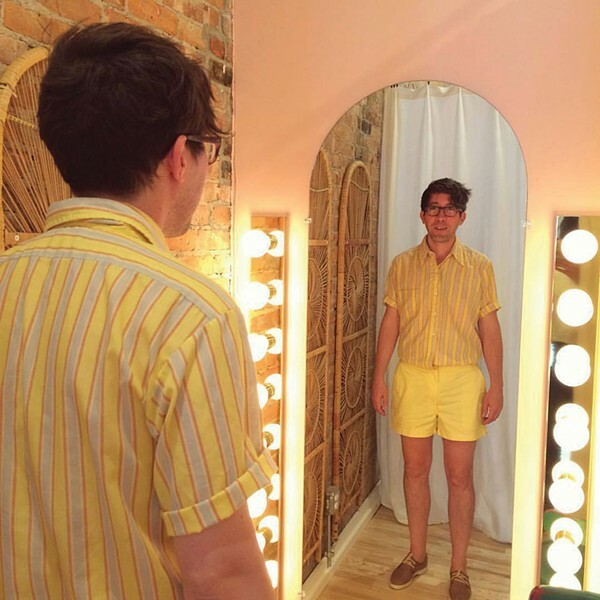 "WARMER WEATHER STYLISH THREADS FOR SPRING & SUMMER"